Orange – I’m pretty sure it’s the color of excitement! 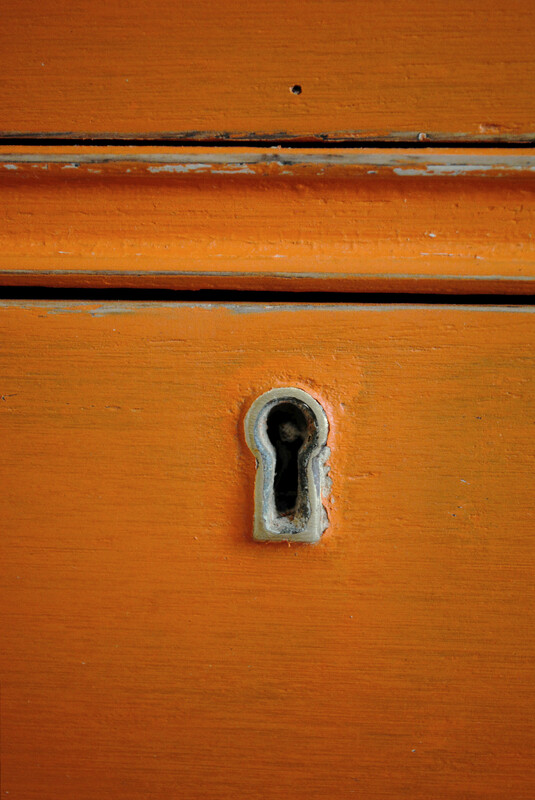 It is, indeed, vibrantly orange and delicately distressed with brand new hardware to accent the original keyholes. 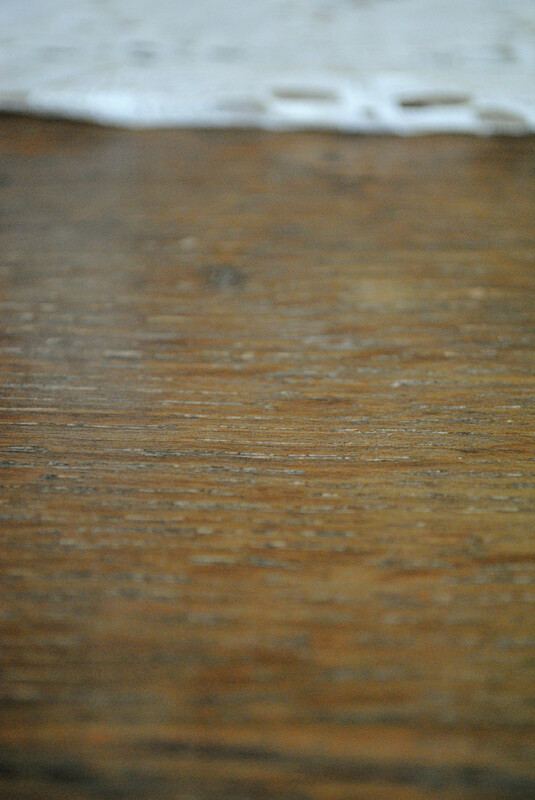 I left the top completely natural but added a hefty layer of sealer. 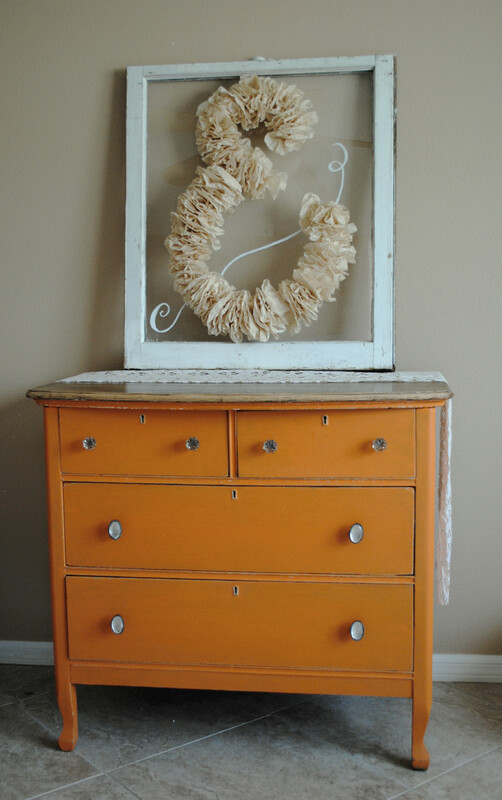 It reminds me of an antique orange crate – more on that reference at a later date. As for the ‘&’ in the antique window, drop by tomorrow for a play-by-play of what the heck all of that fluffy wonderfulness is and just how I created that little spectacle!